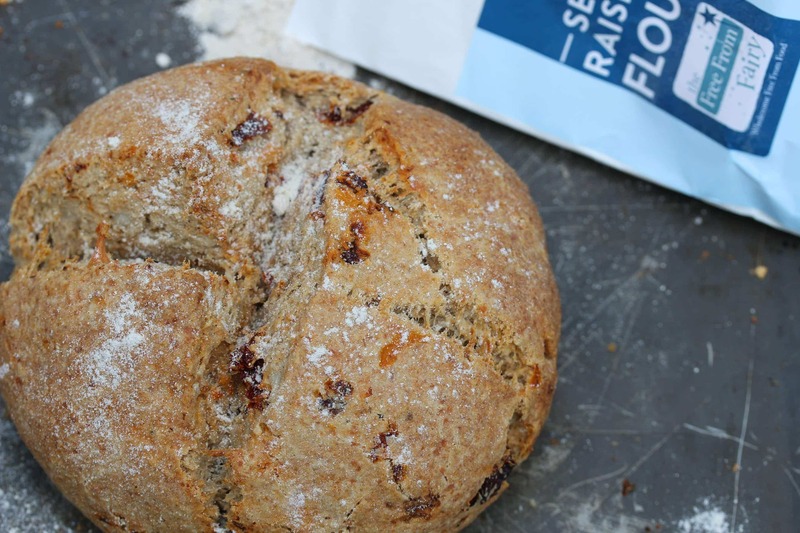 Gluten Free Soda Bread: Cheese & Sundried Tomato | The Free From Fairy. 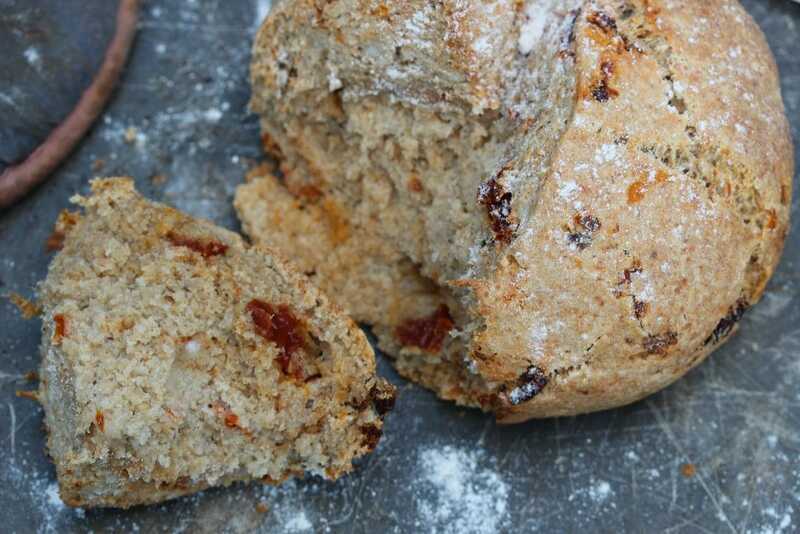 I created this gluten free soda bread recipe many years ago. I was developing recipes for Nature’s Path at the time and used their porridge oats for the recipe. Since they no longer sell those, I’ve made this recipe with plain gluten free oats. Some people react to gluten free oats and in Australia and New Zealand people with coeliac disease are told to avoid all oats. You can watch a vlog that I made about that below. In the vlog I mention a course I was developing. 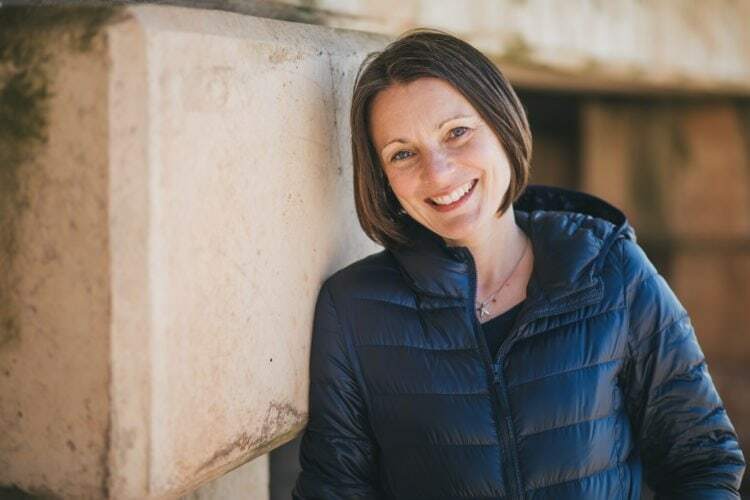 Well, the programme is now live so if you are newly diagnosed, struggle with the gluten free diet or find you still react to things then I highly recommend you join my programme. In it I share everything you need to know to get up and running with the gluten free diet. You may also find answers to why you continue to react to foods despite following a strict diet. In addition to all that, I’m available to answer questions in a private Facebook group where you’ll get the support you need. Anyway, back the the recipe. If you avoid oats then replace them with an equal amount of gluten free flour. 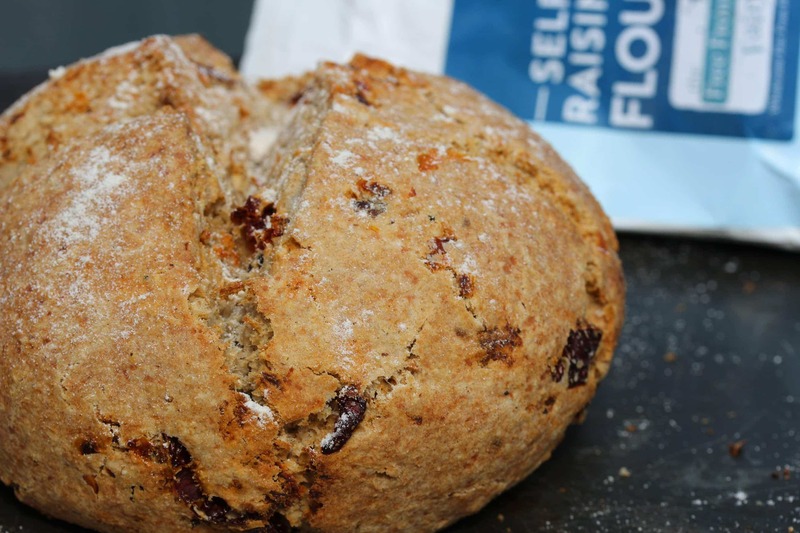 The flavour of this gluten free soda bread is incredible but if you want to tweak it then please do. I love nothing more than seeing you using my recipes as the basis to your own. I haven’t tried making it with dairy free cheese and butter alternative but if you were so inclined I’m sure it would work. Instead I made it with goats dairy products. Goats milk is much easier to digest than cows milk so if you react to cows milk you may find you can tolerate goats. For me, if I eat cows milk products I get a flare up of my eczema, and a swelling of my knuckles. It’s not a classic allergy. If you do have an allergy to dairy then please don’t try any dairy products at all! 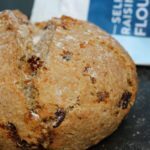 Is gluten free soda bread easy to make? It’s the easiest gluten free bread to make. All you do is mix the ingredients together, shape the dough and bake it! I suggest it in my online programme as a starting point to anyone new to gluten free bread making. I also make suggestions of other simple starting points for a novice gluten free baker. Gluten free soda bread relies on raising agents to make it rise. If you use my gluten free self raising flour then you don’t need to add any extra raising agents. I created the blend with double acting raising agents because so many gluten free bakes fail to rise properly. What the heck does double acting mean? Well it means that unlike ordinary raising agents I’ve included two acids and one alkali (usually it’s one of each). One starts working when you add liquid to the mixture and the other starts working when it’s heated. The result? Well, a far better structure and rise than with ‘traditional’ raising agents and self raising flours. I haven’t tested this recipe with other gluten free flour blends but if you use them you are likely to need extra raising agents. 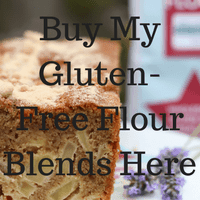 If you’d like to try my wholegrain gluten free flour blend then click below where you’ll be taken to my shop. In a small jug or mug combine the milk and vinegar. This should make the mixture curdle...that's fine! Finally, cut a cross shape on top of the dough about the depth of 1 cm. I’m in Australia & my husband is gluten free. I’d use Quinoa flakes instead of the rolled oats. The recipe sounds yummy! This sounds delicious, cheese and tomato are such a fab combination! It really is so tasty! A bit too moorish though! I know! I have a secret love for Nutella too!!! 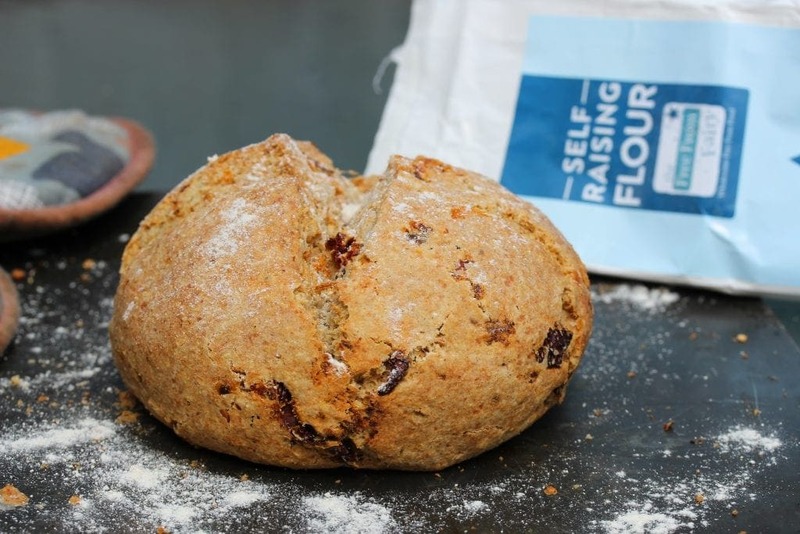 This is a very nice recipe on gluten free soda bread. It is looking very delicious as well. Thanks for sharing this informative post with us. Hi Vicky, does the soda bread freeze well?